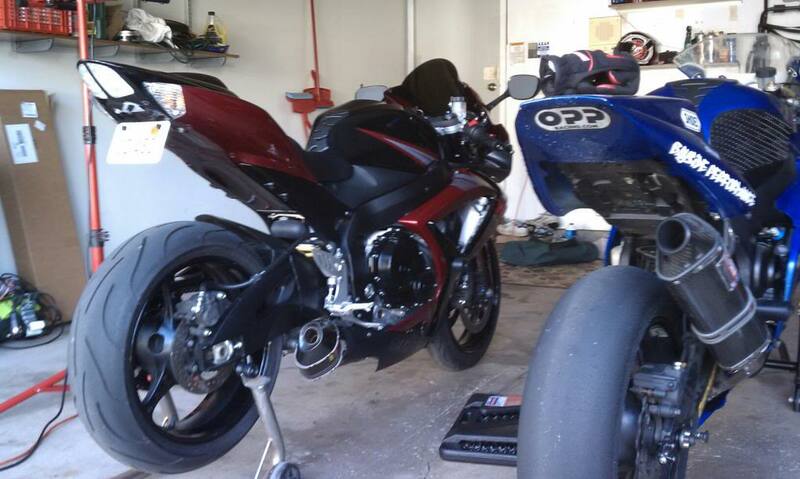 So I am debating on giving up my 06 750 for a 06-07 cbr1000rr. The 750 gets up and goes, don't get me wrong, but I'm looking for something with a bit more torque down low for a more drivable bike in the street. If I remember correctly, I believe the earlier cbr's were considered "underpowered" and "pigs" when compared to the competitors liter bikes. Wasn't that all changed with the 06-07 generation, does anyone have experience with both to give a good comparison? Will this be a drastic difference when compared to my 750? Any major issues with the cbr, or is it very reliable and solid like most other Honda bikes? I'm not a fan at all of the 08+ body styling, neither the oil consumpution issue. Thanks for the heads up though, I'll check over at fireblades.org. Hey K14. I to was in limbo of deciding which bike to go with myself, except I was deciding between a 2012 Busa/ 2012 CBR1000rr or a 07 CBR1000rr. Long story short my bike mechanic and a few others said their are a few problems with the Busa and Suzuki is one of the more expensive to fix. Still was not the deciding factor of not getting the Busa. As for the decision between the 2012 and the 2007 CBR1000rr, With ALL things considered, I lucked out and as Pha8 would have it, I found and went with the 2007 CBR1000rr. For me the final decision was not due to the hugh oil consumption problems in the 08-09-10 and through the different forums, even the 2011's and 12's (although it definitely played a role) or the stator problems in the 05's and earlier. Nor did the $10,000.00 difference between the 07 and 2012 (although again, it did play a role in the final decision) For me IMHO I went with the 07 because I think it is the best looking sport "Litre" bike ever made to date and is again IMHO the "flagship" of everything a sport bike should be. I know the newer CBR1000rr's are a little lighter, a little faster, more sophisticated! but I don't plan on doing any racing nor do I have anything to prove. I've tested and know my riding level and I can say It will be a long time before I can "outride" this bike as I used to own a 2000 ZX6r and still currently own a 2000 ZX9r. Hope I've helped and again this is ONLY my personal opinion and thoughts. In-short, buy what suits your needs/wants, something you will be a %100 happy with and will make you say damn every time you look at it. I think I've decide to stick with the 750. Put a Akrapovic slip-on and BMC race filter and I can't believe the difference it made. Just waiting on the PCV to get it tuned, bogs a little in the low rpm's. I'm going to get some experience under my belt with the 750 before moving up. Oh, and did I say I absolutely love the Akra? 01-02-03 Gixxer 600 750 R/R for my 94 F2? Quick Reply: From gixxer 750 to cbr1000rr?